Bookmakers and online casinos are always looking for ways to improve their customers’ experience and now William Hill has come up with something truly revolutionary. Using Google Cardboard, a cheap but effective virtual reality headset, William Hill has created a virtual live sports experience. By working with production studio Unit9 to fuse GPS racetrack data with VR technology, the company has created a way for punters to enjoy a 3D horse race in real time from the perspective of the jockey. While the technology is currently a prototype, William Hill is hoping to expand the technology to other sports. Crispin Nieboer, the director of corporate development and innovation has said that the company is trying to create an entertaining experience for punters regardless of the outcomes of their bets. 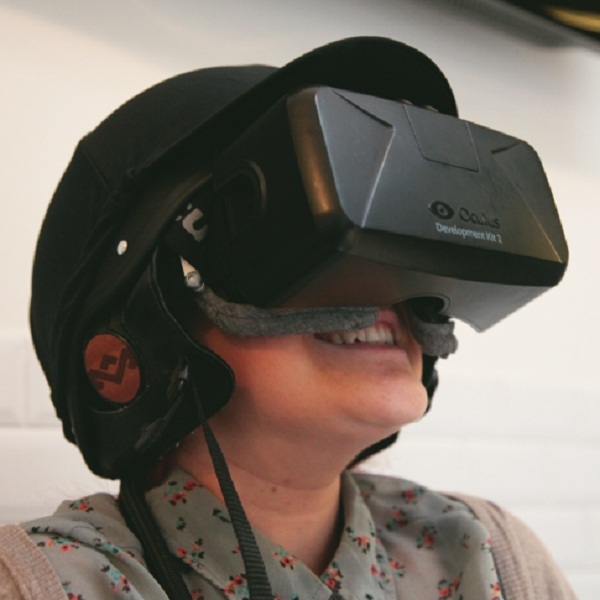 The VR headset has been designed in the form of a jockey’s helmet and it features a ‘head up display’ which users can activate when looking down at their horse. The system recreates the races real time in a 360 virtual environment. All customers will need to experience this is a smartphone and Google Cardboard device which will be provided by William Hill. However, there are still many trials to go before William Hill will decide whether or not to take it to the mass market and it is not known when or if this technology will become publicly available. Nonetheless, the company is already giving demonstrations and there is every reason to hope that this could become a fixture in betting shops, and for users at home, in the not too distant future.